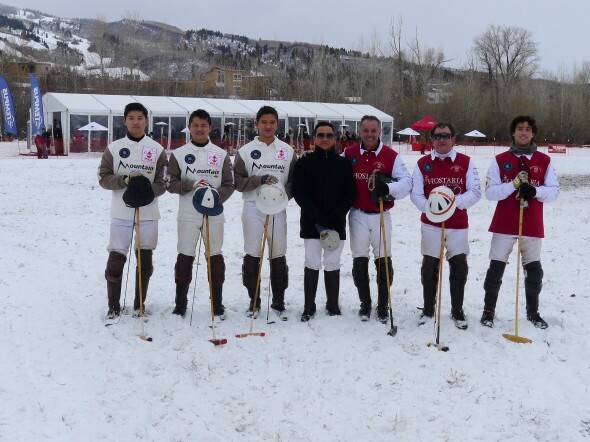 It was a beautiful end to an exciting snow polo tournament in the picturesque town of Aspen, Colorado Sunday afternoon as a Carlos Gracida-driven L’Hostaria polo team eked out a 3-2 win over the Tempus Jets to capture the 2012 USPA World Snow Polo Championship. The final showdown between L’Hostaria (Guillermo Steta, Carlitos Gracida and Carlos Gracida) and the Tempus Jets (Selby Stout, Kelly Wells and Tommy Biddle) ended four days of parties and polo before a gracious and enthusiastic crowd. L’Hostaria received one goal by handicap from the 12-goal Tempus Jets lineup and added goals from Guillermo and Carlitos Gracida in the first half. The Tempus Jets responded with single goals from Kelly Wells and tommy Biddle, but that was where it stalled out. Neither team could get on the scoreboard in the second half. “We fired away the whole last chukker,” said Tommy Biddle, the man that scored from 70 yards out on Saturday to boost the Tempus Jets into the Sunday finals, “but tough defense by the Gracidas shut us down. It was a good match,” he added. 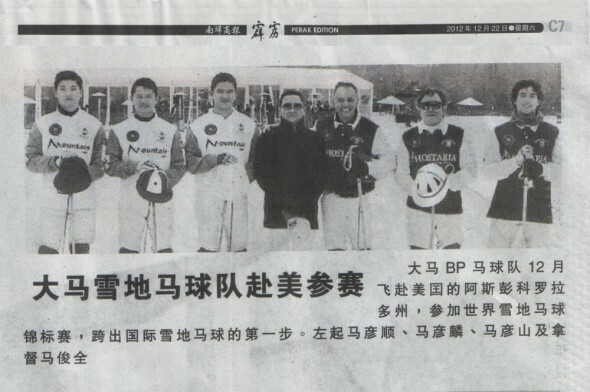 Four teams took part in the 2012 edition of the USPA World Snow Polo Championship in Aspen this year in the finalists Tempus Jets and L’Hostaria as well as BP Polo (Chevy Beh, Joey Beh, Garvy Beh and James Beh) who traveled all the way from Malaysia and the Ciroc polo team (Pelon Escapite, Doug Barnes and Dale Schwetz).